Staff at the Musée Héritage Museum look for professional development opportunities to build knowledge and skill related to their work at the museum. Brett attended a conference in 2018, near the end of the year, and shares her experience below. Hi everyone. This is Brett Lamoureux, one of the Musée Héritage Museum’s education programmers. I would like to share a little about a trip I recently made at the end of November 2018. I was in New Orleans, Louisiana for the National Association for Interpretation national conference. Sessions included media, inclusivity, programming and interpretation. I was able to go on an additional field trip to visit the Laura Plantation. The Laura Plantation was a sugar farming business that was started by Guillaume Duparc. The big house was constructed in 1804 and totals 24,000 sq. ft with an additional 2,500 sq. ft. detached kitchen. Within the first five minutes of the tour I found a connection to the Father Lacombe Chapel here in St. Albert, AB. The interpreter discussed how the building was constructed and stated that such a large and heavy house would have required the enslaved people to build a preliminary frame on the ground first. 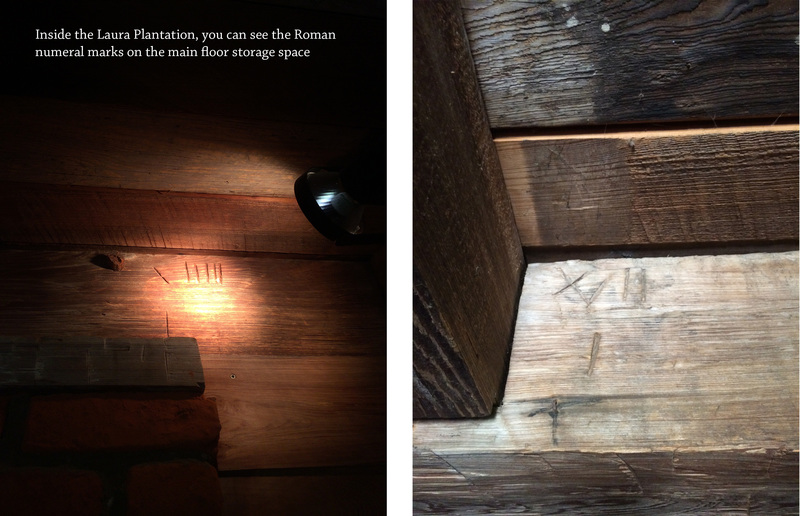 Each piece of wood was marked with a Roman numeral to keep pieces organized when it is assembled. This is also how the Chapel in St. Albert was built in 1861. The Roman numerals on the Chapel logs were helpful when dismantling the building and moving it to a new location on the hill. It is always interesting to travel so far and connect the history of a new place to the local history I share each day with school students and visitors at the museum and heritage sites. I would like to thank the Canadian Museums Association for a grant that made this trip possible and Arts and Heritage, St. Albert for the time to travel and experience the conference in New Orleans. Please stay tuned for more blogs about my trip.